10- Toyota RAV4 Trail – 3500 lbs. Normally, the RAV4 boasts a towing capacity of 1500 lbs. (680 kg), which is the average in the compact SUV segment. 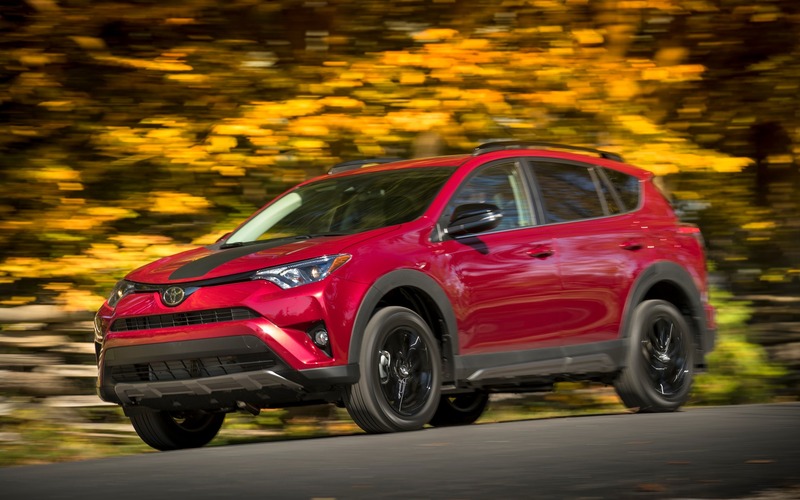 However, the new 2018 RAV4 Trail variant receives a higher-capacity radiator as well as additional coolers for the engine oil and the transmission fluid. With all that, the RAV4 Trail’s towing capacity climbs to 3500 lbs. (1588 kg), even though it’s equipped with its 176-horsepower, 2.5-litre four-cylinder engine.